1. Click on the “Add a Linode” and pick a Linode type you want to deploy. 4. On the resulting page search for “PMM” and pick PMMServer from PerconaLab. If you think that a manual deployment with StackScripts is not much less hassle than doing it manually, you’re right. The real benefit comes with using Linode API for deployment. There are multiple way to access this API, though for basic scripting I prefer the linode-cli tool for using the Linode API from the command line. As you can see, with Linode StackScripts you can get going with Percona Monitoring and Management on Linode in no time, especially if you chose to use the Linode API. 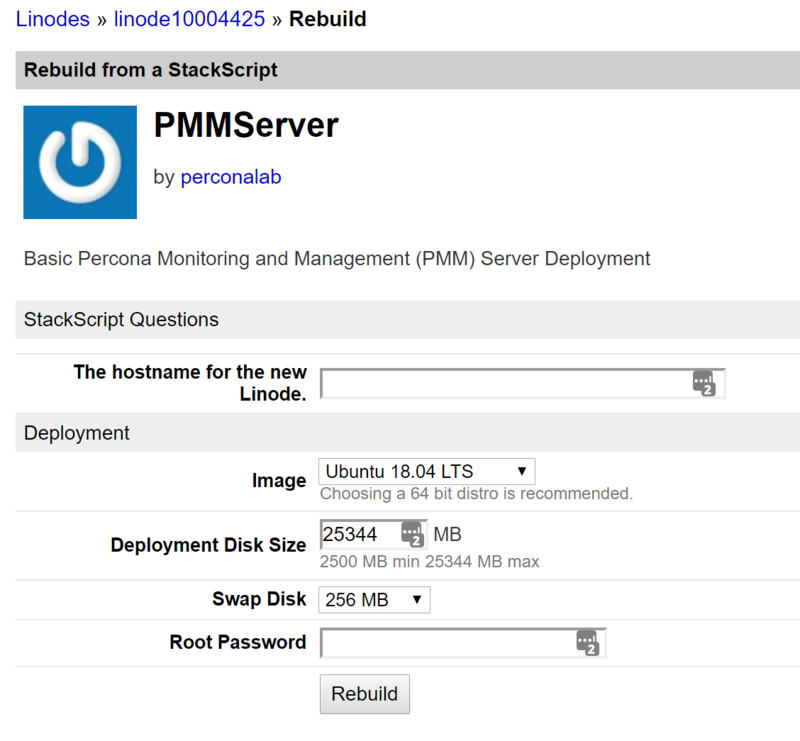 Here’s an overview from the Percona Monitoring and Management manual on deploying PMM. If you are new to PMM and would like to know more, you will find lots of resources on this site including my webinar MySQL Troubleshooting and Performance Optimization with PMM.